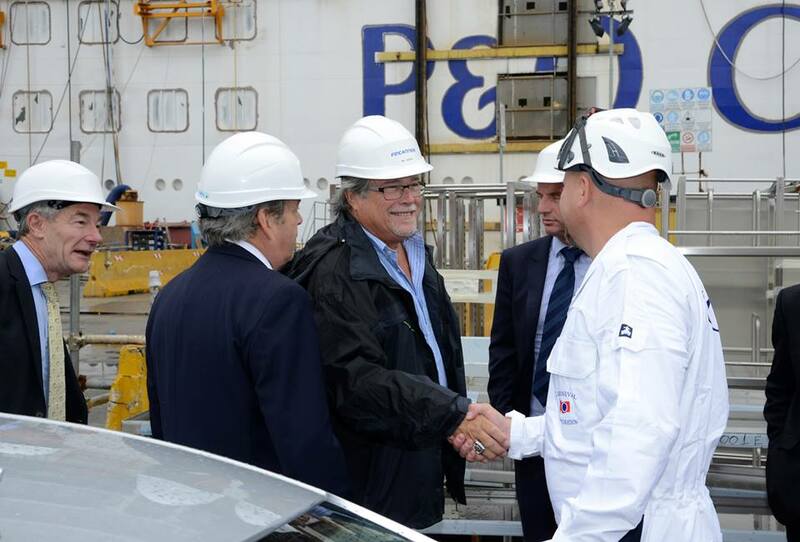 The Chairman of the Carnival Corporation Micky Arison and the CEO of Carnival UK David Dingle have made a visit to the P&O Britannia. 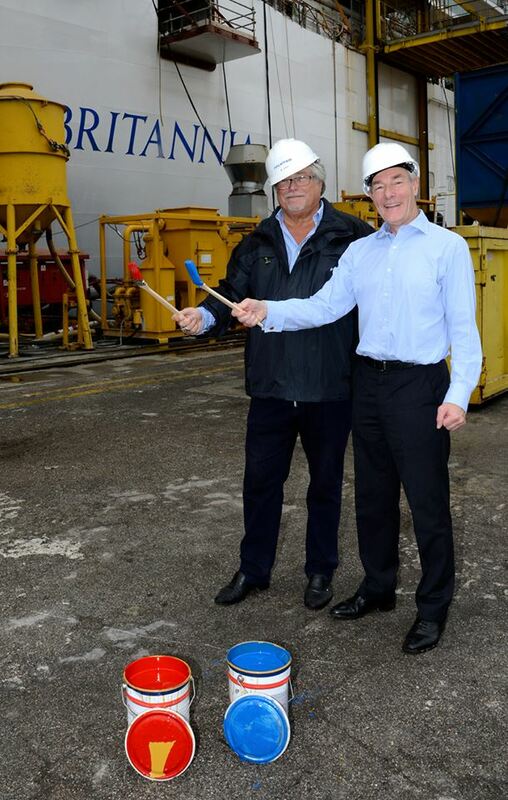 The ship is currently being built at the Fincantieri shipyard in Malfalcone, Italy. Britannia will be the largest ever cruise ship built for the UK market and will also be an important ship with the Carnival Corporation which owns P&O Cruises. 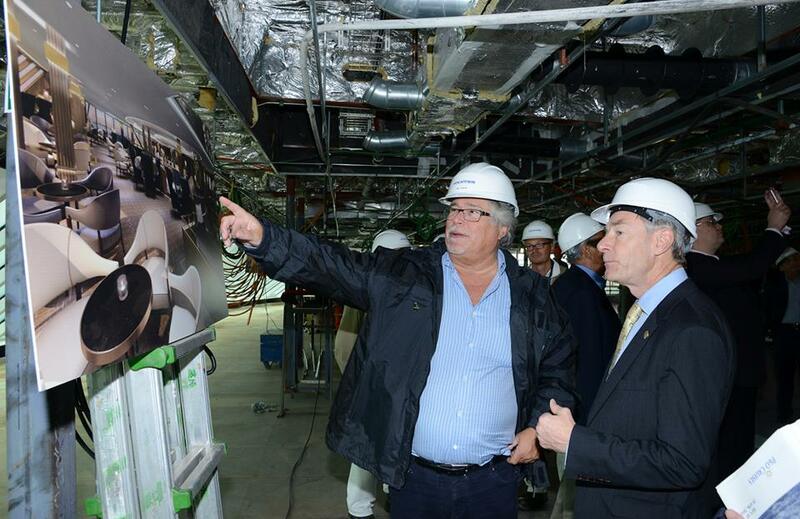 The Carnival executives toured the ship and inspected spaces. They also looked at the progress of painting on the ships hull along with discussions on the new Union Jack flag livery. 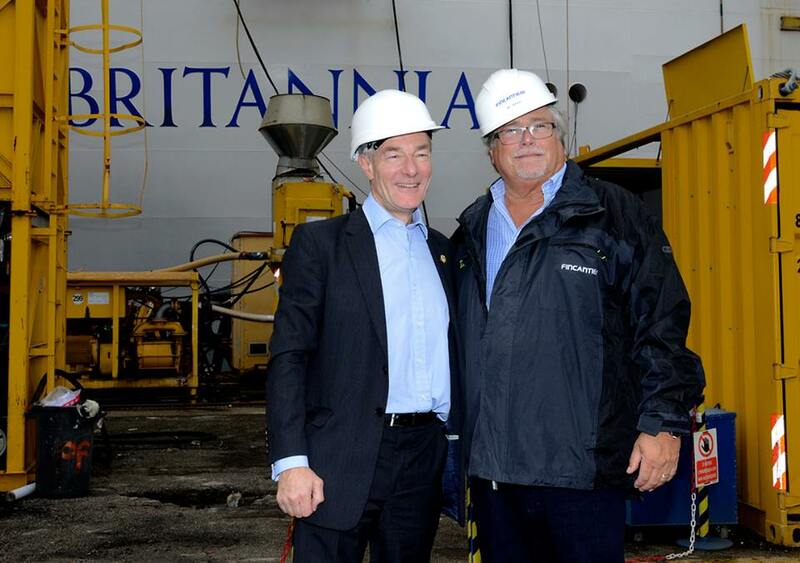 P&O Britannia will be completed in March 2015 and is 142,000 tons carrying 3,647 passengers. P&O Cruises has posted some photos of the visit which you can view below.